Good news for those of you who like standing in lines! 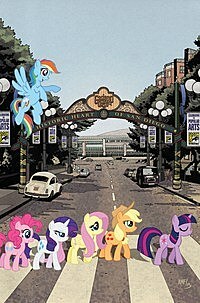 Diamond has announced its exclusives for next month's San Diego Comic-Con International, with variant covers for comics like Adventure Time and My Little Pony: Friendship Is Magic, as well as toys like plastic bank limited to 1500 pieces with the somewhat dubious description of being "a fan-favorite repair droid from Naboo." Okay, sure, that last one's just an R2-D2 bank that somebody took a gold Sharpie to, but there's some neat stuff to be found there as well if you're into limited variants and exclusive action figures. 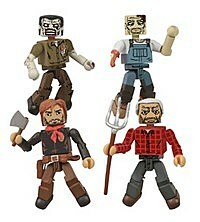 Checkout the whole roster below. 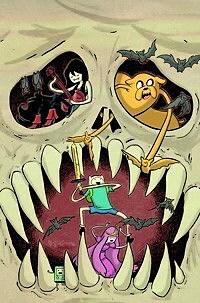 Join fan-favorite characters Marceline and Princess Bubblegum for riot grrl rock-fueled excitement in this brand new Adventure Time miniseries! Thanks to a newfound interest in music, Princess Bubblegum joins Marceline's paranormal rock band for a tour across the land of Ooo! But when they're threatened by everything from scenesters to beasts born of self-doubt, can they make it to the raddest gig ever in time?! Written and drawn by acclaimed cartoonist Meredith Gran (Octopus Pie) and featuring a back-up story from Jen Wang (Koko Be Good). The final act of the Deadpool Killogy begins! Deadpool sets his sights on the ultimate target ... himself! 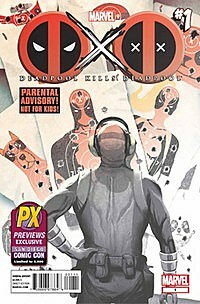 Contains over 700% of your daily recommended Deadpool! Every pony's got a story to tell in this new arc by fan-favorites Katie Cook & Andy Price! The citizens of Ponyville take center stage as an ordinary morning for Big McIntosh quickly turns into an unexpected adventure! Filled with tons of colorful characters and side stories, this issue will put Big McIntosh's typical bashfulness to the test! Bonus: Additional 8 pages of content not found in the regular edition. Reunited with the ragtag crew of the Uhumele, Jedi Dass Jennir is surprised to find them plotting with another Jedi to take down the iron fist of the new Galactic Empire-Darth Vader himself! Having only just found love and a reason to live, Jennir is reluctant to join-but their plan may be too good to pass up . . . Brand new ongoing! Boomerang and some of Spidey's deadliest baddies prove that with terrible powers come terrible responsibilities! 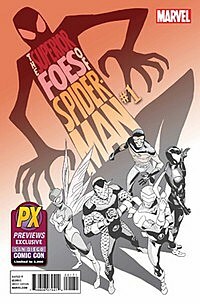 Rising star Nick Spencer teams with Eisner Award-winning sensation Steve Lieber for a walk on the Spider-Verse's evil side! Captured by the same people who made him immortal, James Lazarus discovers the true nature of the corporation that is after him. Hot on his trail, Agents Robinson and Rios infiltrate the same corporation and get their hands on Lazarus' personal file. Only one question remains ...whose side is Lazarus on? 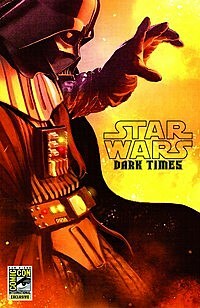 Featuring an original cover created for this edition! 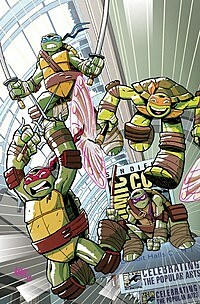 (final cover art to be released prior to convention). 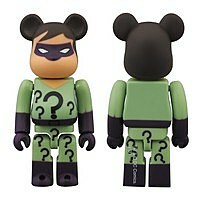 DC Comics' Prince of Puzzlers takes the spotlight as a Medicom Be@rbrick! Blister card packaging. 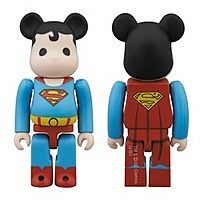 Medicom gives DC Comics' Man of Steel his due on his 75th birthday with this Super Powers Be@rbrick. Blister card packaging. 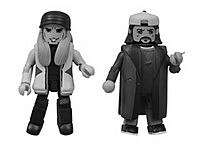 The dynamic duo of Kevin Smith's View Askewniverse are now available in this 2-pack of 2" H Minimates! 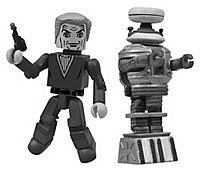 Straight out of the early years of the classic '60s TV series come none other than the cunning Doctor Zachary Smith and The Robot, recreated in delightful detail as 2" H Minimates! 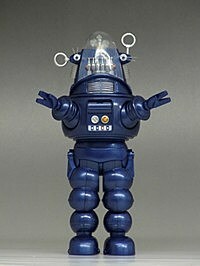 Forbidden Planet's signature 'bot comes to vivid die-cast life in this exceptionally detailed and extremely limited blue edition! 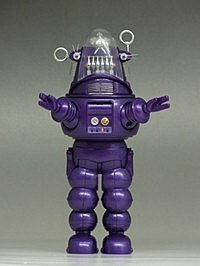 Forbidden Planet's signature 'bot comes to vivid die-cast life in this exceptionally detailed and extremely limited purple edition! 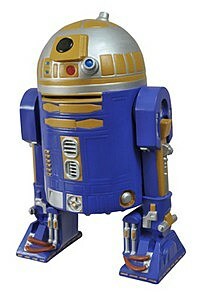 The "fan-favorite" repair droid from Naboo is recreated as an equally helpful bank that stands ready to guard its user's change! 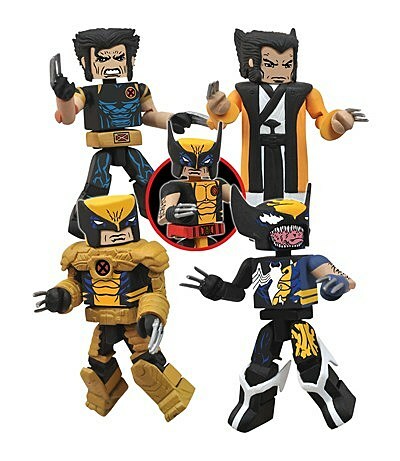 Four faces of the multi-faceted Marvel Comics hero -- Logan-san, Spacesuit Wolverine, Ultimate Wolverine, and Symbiote Wolverine – come together in this set of 2"H Minimates.